Our TEP Students performing at ITC Windsor Manor, Bengaluru for the event the ‘Great Britain and the Indian Curry' with the British High commissioner as the chief guest. Guest lectures are a regular component of the University and Performing Arts Department. The lectures vary according to the expertise of the speaker. In the university context, a guest lecturer is often a faculty member who is invited to speak to a class she does not normally teach. 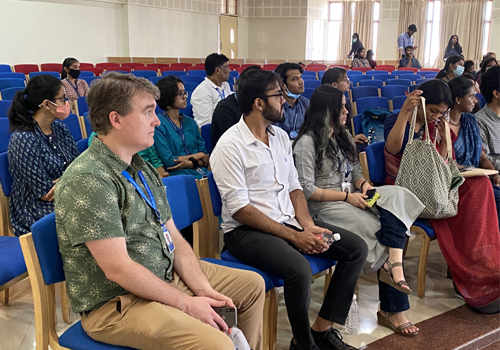 Guest lecturers from outside campus are also invited to address thematic topics, provide practical knowledge, give a global perspective or present ideas for the future. Smt. Padmashree Shovana Narayan, Kathak exponent came as guest lecturer on 12th August 2015. She addressed the students and faculties of PEP department and shared her experiences and knowledge.